Dinner was ready in 35 minutes with very little prep. While my wife Chelsea and I cook and eat healthy and what I think are delicious meals on most nights, we’ve grown tired of the same old recipes. So tonight we decided to try something totally different and it was such a success and so easy to make that I decided to write my first blog post in nearly 3 years because I wanted to share it. For my vegetarian friends, you can try it with tofu. We are going to do that next week and I will let you know how that turns out. We already had some red Thai chili paste, fresh ginger and garlic, cilantro from our garden and a couple of cans of light coconut milk. I stopped by Whole Foods and picked up some organic chicken breasts on my way home from work. 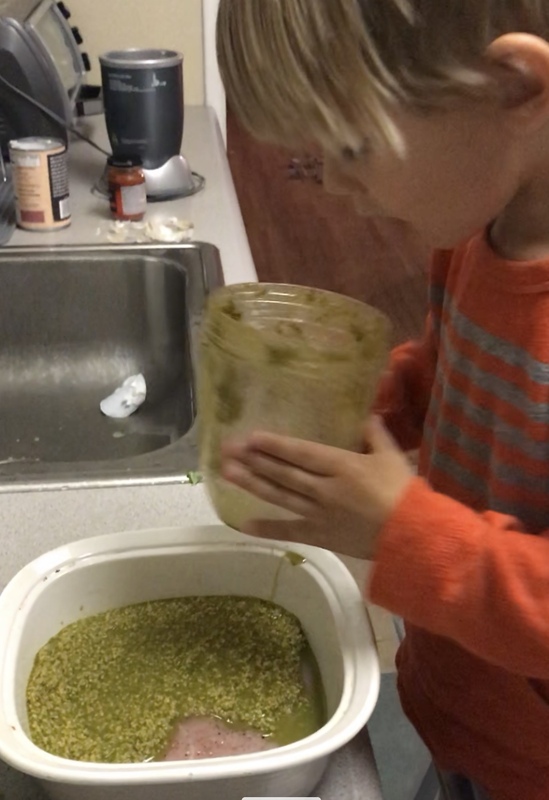 Over the last two years of our son Matteo eating solid food, we have made a conscious effort to involve him in the meal preparation process. Everything from shopping or growing the food, to prepping and cooking it. I know it has made a huge impact on his eating habits. He is a very healthy eater and will try just about anything we make. He doesn’t necessarily like everything, but he will at least try it. While chicken is cooking, rinse one cup of rice and add to a pot with a 14oz can of light coconut milk. Cook rice until done. One cup of rice with one can of coconut milk is the perfect amount of liquid to make delicious tasting rice. I learned this from my brother when we were on a family trip to Hawaii a couple of years ago and it has been my favorite way to enjoy basmati rice ever since. We steamed broccoli, because it’s easy and we all love it. 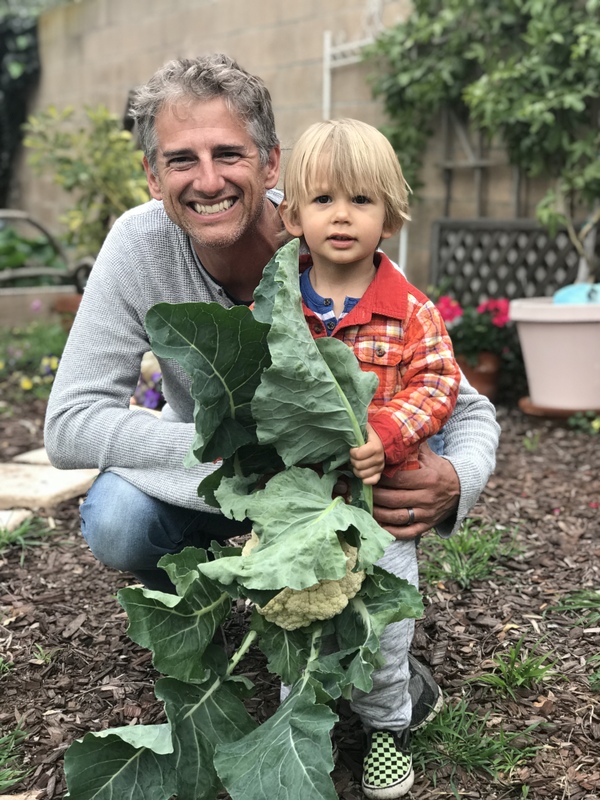 We grow broccoli in our garden. I think this is why Matteo likes it so much. He helps us plant and water it and then harvest it when it’s grown and I’m sure this helps him appreciate it even more. Next time I do this dish, I will probably also add cauliflower and maybe zucchini. When everything was cooked, we put the rice in a large bowl, added the chicken and broccoli and then poured some of the cooked mixture over everything. We blessed our food with love and gratitude an thanked the chickens that gave their lives for us to enjoy a yummy dinner. It was delicious and we ate it all up. Let me know what you think. I’d love to hear your feedback.